Khloe Kardashian and Lamar Odom may have been broken up for two years now, but their divorce was never finalized — until now. According to Us Weekly, Khloe and Lamar reportedly signed their divorce papers last week, making the end of their marriage a real thing. Although the news hasn't yet been confirmed by Khloe or Lamar, Bustle has reached out to Khloe's rep for comment. And despite the zillions of rumors that have circulated recently around a possible reunion, it sounds like these two getting back together is definitely not happening now. Even though they obviously cared about each other in the beginning — enough to tie the knot after just a few weeks of dating — life has taken them in a totally different direction. They were so cute together once, but now, the final nail has finally been hammered into the Khloe and Lamar coffin, and if you ask me? It's a good thing. Ordinarily, when celebrities call it quits, I'm heartbroken. I'm still reeling from Jennifer Garner and Ben Affleck ending their marriage, and it's been weeks. 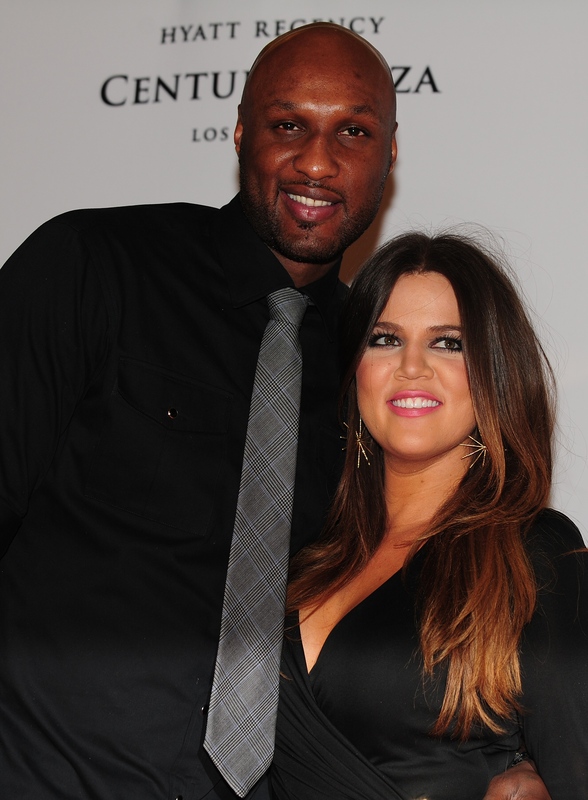 But in the case of Khloe and Lamar, a divorce is a good thing. I'll give them this: At first, they were super cute together. They seemed to get along pretty well on their short-lived Keeping Up With The Kardashians spinoff, Khloe & Lamar, despite the fact that they got married very soon after meeting for the first time. But then, problems started cropping up in their relationship, and even if you don't spend as much time dissecting every episode of KUWTK as I do, it's obvious that the choices Lamar was making were heartbreaking to Khloe. The way I was living was not a way to live. I was kept in hiding every time there was something going on. I would have to lie or conceal or cover up and I'm so over it. . . Let me tell you something. Last year on my birthday, I lied to everyone because I had to lie and say I was with my husband when, in fact, my husband was missing with another girl, OK? And I lied, and I gave up my Beyonce tickets to Kendall. That's how badly I was hiding, and I didn't have a birthday. I was alone and lied to everyone. Khloe's right: Giving up Beyonce tickets is no way to live, and if the games Lamar plays gets in the way of seeing Queen Bey, I don't blame her one bit. But on a more serious note? I'm a firm believer that the relationships you pursue in life should be ones that add to your happiness, not take away from it, and it's clear that Lamar wasn't giving Khloe anything positive for a really long time. Moments like the one below are hard to watch, and if that's how Lamar has made her feel in the past, it's absolutely for the best that she says goodbye for good. Khloe has a lot to give in a relationship, and she deserves to be with someone who appreciates that about her. There's an amazing person waiting for her somewhere in the future, and letting Lamar go is the first step in finding that happiness.